Hot water heat pumps are often confused with solar hot water and in some ways this confusion is justified. 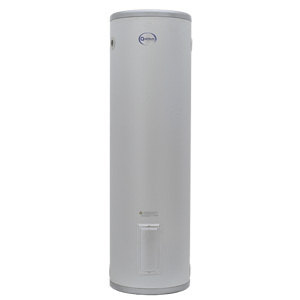 Solar hot water heaters rely on incidental sunshine to affect the heating while hot water heat pumps take heat from the ambient air and use this energy source to heat the water. The Quantum heat pump does not need sunshine to operate nor does it need large roof panels, in fact for commercial applications the units look like traditional hot water heaters. Day or night, rain, hail or shine, they produce hot water but with efficiencies such that traditional hot water heating bills can be slashed by 50-75%.